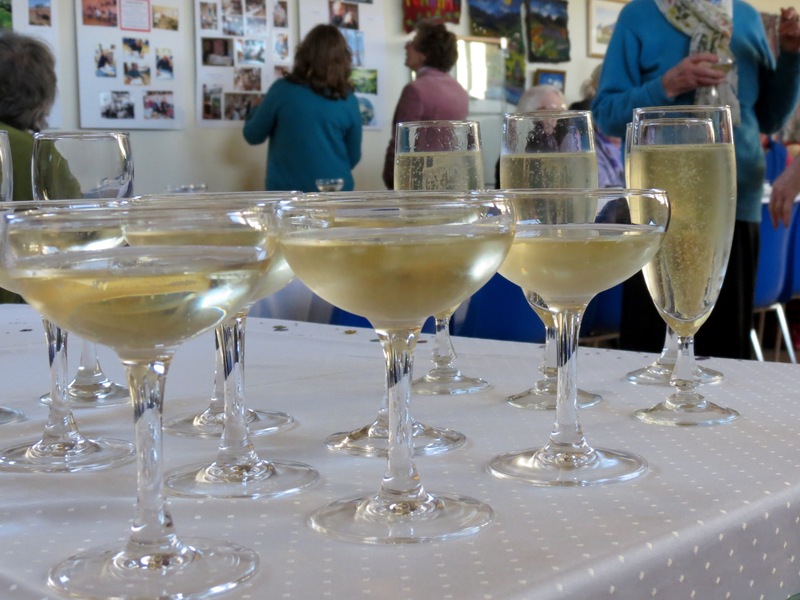 Last Sunday, the prosecco was chilled, the glasses polished and the afternoon teas laid out, as the residents of Fearnan (past and present) gathered to celebrate the 60th anniversary of the opening of the Village Hall. The Hall itself was looking pretty good for a 60 year-old, and the Art Club had mounted some special displays for the occasion. 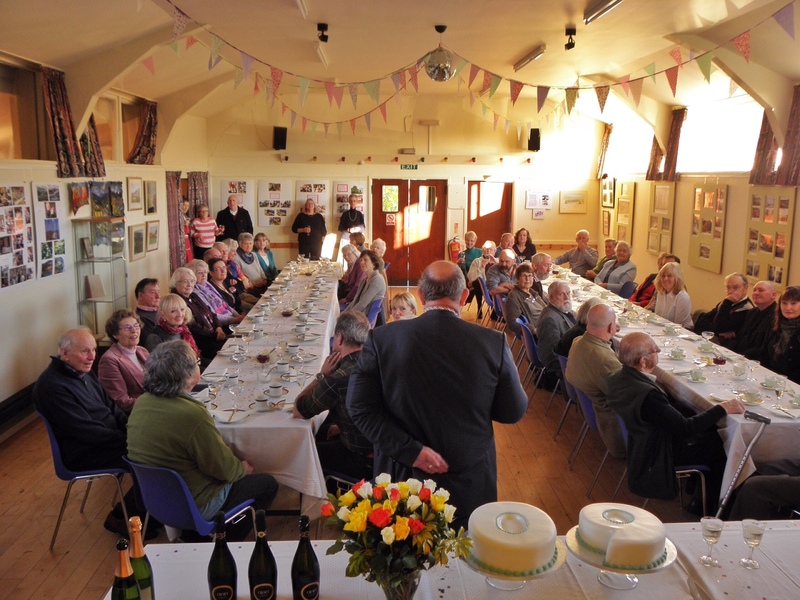 There was a warm and friendly atmosphere as people caught up with old friends and neighbours, looked at the displays and, of course, enjoyed their afternoon tea. 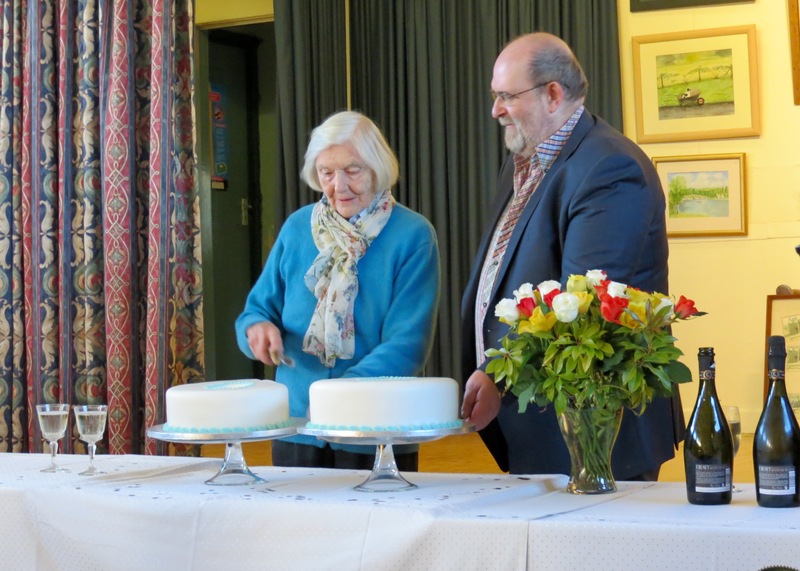 There was a birthday cake, naturally………..
………which was cut by Lois Duncan Millar who holds the distinction of being one of the few people present at both the opening in 1955 and the celebration tea in 2015. There was also a birthday present in the form of a William Gillies print, presented by the Art Club to the Hall (there is a connection to Fearnan, as Gillies spent some time in the area). All in all, a great occasion, and many thanks to all those who worked hard to make it happen. This Sunday is Remembrance Sunday, and there will be a short service at the War Memorial starting just before 11.00. We shall be running a shuttle service from the Hall car park to the Memorial, so if you would like a lift down the hill, please come to the car park by 10.45am. Lifts back UP the hill will also be available! After the service, the FVA will be serving soup, teas and coffees in the Hall. After this, the next event is the annual Mulled Wine and Mince Pies on Saturday 5th December at 3.30pm in the Hall. Next year’s Pudding Night is on Saturday 20th February at 6.30pm. 2 Responses to A 60th Birthday Party! 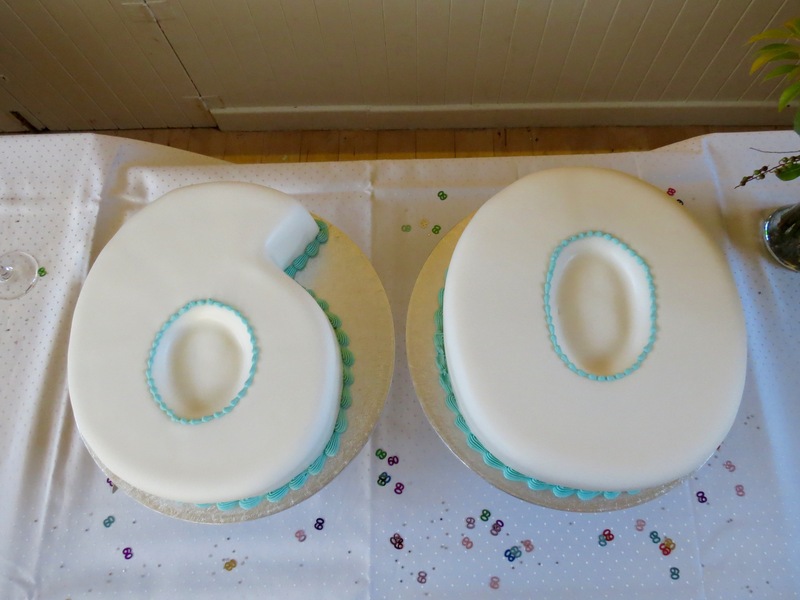 Thank you very much for a wonderful celebration tea marking the hall’s 60th birthday. May I just mention that Lois Duncan Millar was not the only person present who was there at its opening in 1955…. Duncan McLaren was also at the 1955 opening and last Sunday’s birthday tea!